At FX Scaffolding we understand that your home is the most important place in your life and that renovations can be stressful. When embarking on a Residential scaffolding project you need to choose a supplier that will stick to a tight timeline and of course, stay within budget. The scaffolding needed to complete your project will be used by many different trades and we try to foresee every possible requirement in our scaffolding hire services for your property. 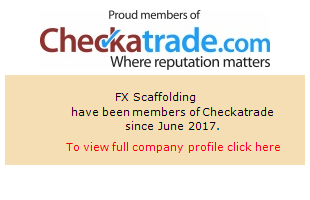 FX Scaffolding understands that for residential home projects occupants usually remain in the home throughout the project. Therefore, we provide safe and top quality equipment to ensure your residential project is completed safely and on time. We will work with you on your requirements in order to deliver a bespoke scaffolding hire solution; including design, building and dismantling for both interior and exterior home building projects. For examples of our completed work, see our Residential Project Gallery.